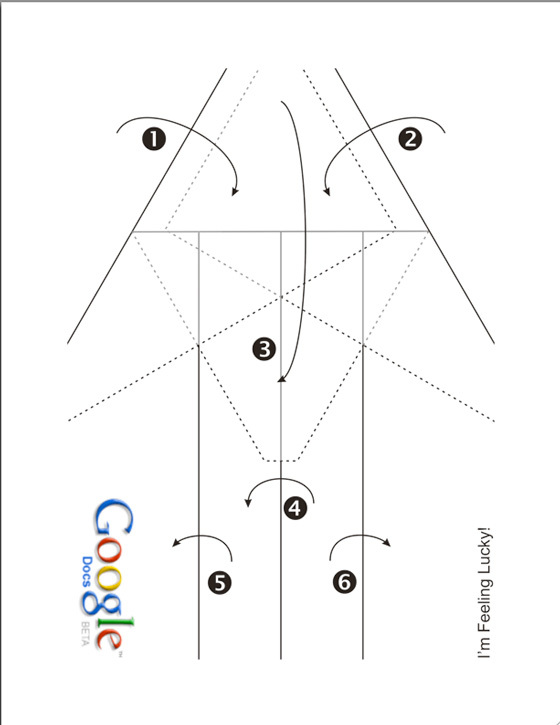 Choosing it opens a new file with folding instructions to build a paper airplane. Why? Dunno. 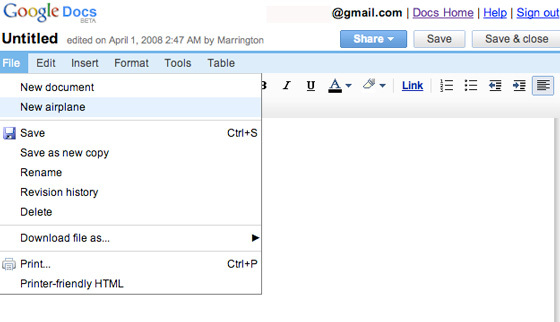 This is strange even for Google . Even on April Fools. First reader to print it out, fold it properly, video it actually flying, upload the video on YouTube or any other video sharing service and post a link in the comments below gets a 2GB iPod Shuffle in the color of your choice. And we’ll give a second one to whoever can get the most distance from their plane (this is going to be somewhat subjective, I’ll make the final decision) (this is always entertaining). Thanks for the tip, Jonathan Chard. The pdf of the image is here.